In Dubai, I pay UAE Dirhams 400 (Rs 19,000) for a one year subscription of any major newspaper (Khaleej Times or Gulf News) and they give me a gift voucher of UAE Dirhams 750 (RS 37,000) to buy jewellery or furniture or any gift item or for airfare etc. So, the newspapers are virtually free to me. Then also the newspapers are delivered to my doorstep at 3.30 am without any delivery charge. So, when I wake up I read the newspapers and go to office. In Sri Lanka, my brother-in-law says he pays the newspaper charges of around Rs 12,000 per one year (UAE Dirhams 250) plus delivery charges of Rs 1,850 per year (UAE Dirhams 40) and receives the newspapers around 8 am after he has left for office. In addition, the delivery boy will request donations for Christmas and Avurudu. This is happening in a country with a much larger population than UAE. So, obviously there will be purchase economies of scale in newsprint etc. 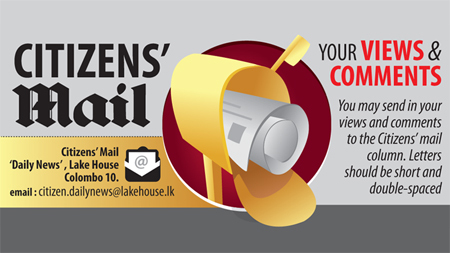 But, there is inefficiency somewhere in the supply chain of newspaper business in Sri Lanka. Are the readers paying for someone to make money or cover up costs due to procurement fraud in newsprint or paying for delivery agencies to thrive or inefficiency in our working style. also applies to many other products and services in Sri Lanka that are overpriced.